Posted on December 30, 2016 at 12:16 pm. Heal – Teach – Support. These are the words that guide all that we do at Hands Up for Haiti. But how are we able to do what we do? Only with the generous support of our donors and volunteers. Your help truly makes a difference in the lives of the people that we help. 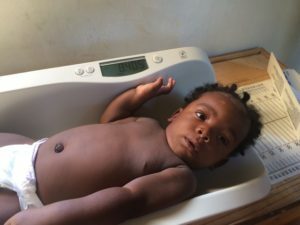 The health challenges are great in Haiti, but in 2016, with donor and volunteer help, HUFH was able to accomplish a great deal, highlighted below in this blog. For HUFH, sustainable health care means supporting programs that are led by our Haitian medical staff who know the best ways to deliver care to their communities. It means that rain or shine, emergency or just another day, our clinics and our programs, including those addressing malnutrition and delivering prenatal care, are open and delivering care under the management of our in-country staff. Thank you to the donors whose generosity sustains these programs. 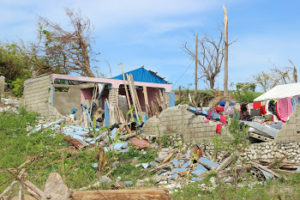 Our Emergency Appeal after Hurricane Matthew made it possible to help a sister organization directly affected by the destructive flooding in the south and also to make repairs in our own clinics when weeks of rains returned to the north. Thank you to all the donors who contributed to our special emergency appeal. 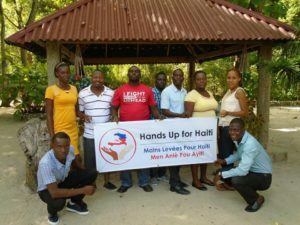 We are proud of our Haitian in-country team, currently numbering around 50 people, led by Dr. Manol Isac, in-country Executive Director. Thank you to the physicians, administrators, nurse practitioners, nurses, agent santes, lab technicians and lay staff who operate our clinics and programs and go out into the community to run our prenatal programs and identify malnourished children, all of whom as a team help us deliver quality care. 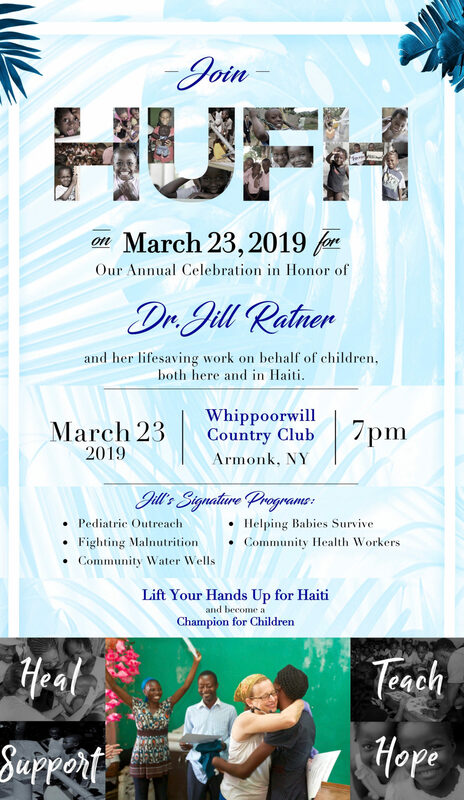 Thanks to their tireless energy and commitment to HUFH and the people of Haiti, HUFH volunteers donated countless hours of time working in Haiti and at home to help us achieve our mission. 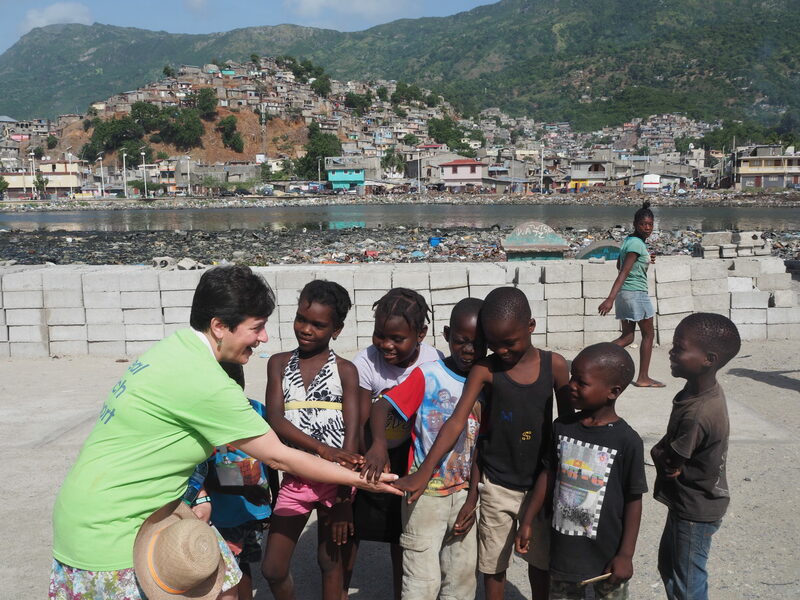 This year alone 15 teams with 126 volunteers traveled to Haiti with us. Working alongside their Haitian counterparts, doctors, nurses, dentists, dieticians, public health professionals and laymen ran outreach clinics, delivering care to people in remote communities who have little or no access to medical care, and provided support to our established clinics in Shada and at Haiti Village Health in Bas Limbe and to our medical professionals on the ground. Each team generally sees more than 500 patients during a mission. This year’s specialty teams included a dental team and a podiatry and wound care team. The eye team continues its annual trips, screening for vision problems and bringing to the north their ophthalmologic services and supplies, much of which is donated by Alcon through the team’s vigorous efforts. Six of our teams were part of our global health education program, inspiring and training young physicians and nurses in the important work of global health. 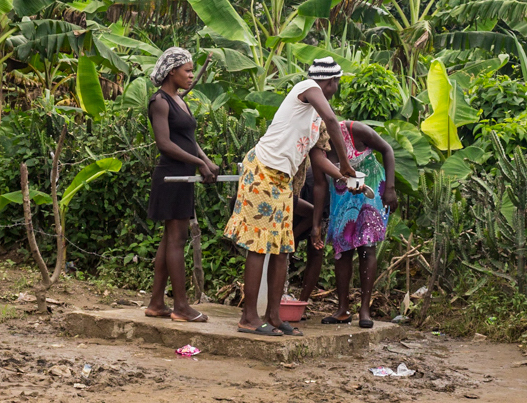 Access to clean water would address a large number of the health issues that our patients face. Vigorously working to raise funds for water wells, our water team built four new wells this year, with two more scheduled for January, providing access to clean water to nearly 30,000 people for 35 years. Educating and empowering the community are major components of what each HUFH team does and the water team teaches the entire community, from children to elders, the importance of clean water in preventing disease and saving lives as well as how to maintain the wells. 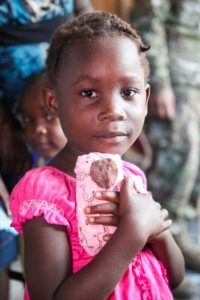 In Haiti, one out of every 5 children under age 5 is considered malnourished. 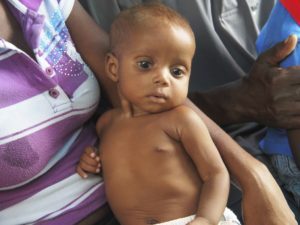 Our malnutrition program identifies and treats these children. Thanks to donor support and a generous grant from Meds and Food for Kids, we reached our goal of doubling the number of children we treat annually to almost 600 children this year. Unfortunately, outreach is identifying more and more malnourished children from remote communities that suffer from severe food shortages and we hope to expand the number of sites, the number of children we treat, and the number of families we educate about nutrition, early in 2017. 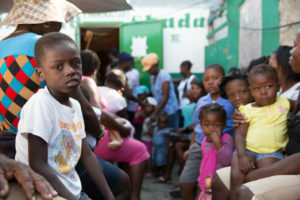 Cervical cancer is the leading cause of cancer deaths in women in Haiti with an estimated 1,500 preventable deaths each year, the highest reported incidence of cervical cancer of any country in the world, 50 times higher than the rate in the United States. With our new program, we expect to screen 3000 women this year and treat 300 before it is too late – preventing their premature and unnecessary deaths. Special thanks to the Morristown Chapter of the Links Inc. and the Physicians in Obstetrics and Gynecology at Morristown Medical Center, whose donation of funds and equipment provided the seed money for this program. 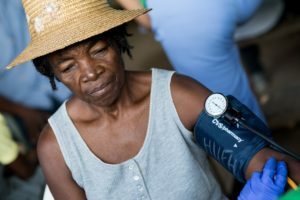 Severe and unrecognized hypertension in Haiti contributes to high levels of stroke, heart failure and premature death. Through HUFH’s hypertension initiative, we are training local nurses and other health care providers with a simple, easy-to-follow protocol and providing a ready supply of prepackaged, safe and inexpensive medications. 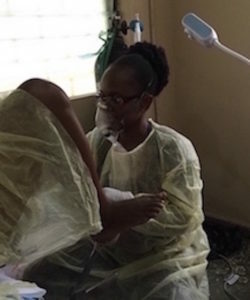 Our pilot program is being supervised by a Haitian nurse practitioner: heal – teach – support in action. Our goal: Whenever possible, teaching is Haitian to Haitian – effective and empowering. 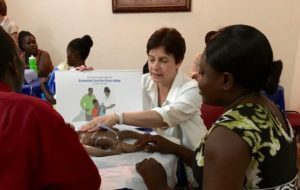 HUFH volunteers and our in-country staff continue to teach Helping Babies Breathe and Essential Newborn Care, two programs highly effective in saving babies’ lives in the “golden minute” after birth and in their first days when most infant deaths occur. 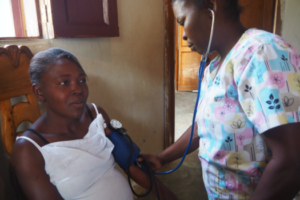 These Haitian nurses and doctors in turn train other Haitian medical professionals as well as traditional birth attendants in HBB/HBS and we offer refresher courses to make sure skills stay sharp. All of our sites are now following Helping Babies Survive protocols. Collaborating and sharing knowledge with nursing programs in and around Cap Haitian, volunteer nurses teach substantive courses including HBB and HBS, hold adolescent workshops on topics including puberty and sexual health, participate in medical outreach clinics, and engage Haitian women in topics such as cervical cancer, domestic violence and preventing illness. 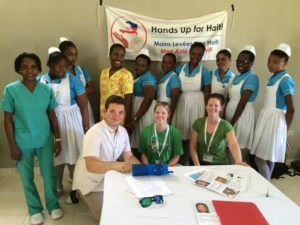 Upon graduation, the new Haitian nurses go out into their communities and share their knowledge. The support that we provide to our programs, to medical professionals on the ground and to our partner hospitals is dependent upon the support we receive from generous donors, grantors and corporate sponsors. 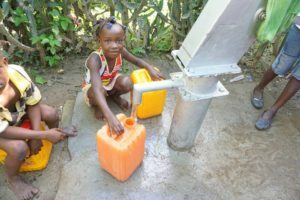 – repair the water wells at Haiti Village Health, providing clean water to both the clinic and the community, in turn helping to prevent the spread of disease, including cholera. Thank you to the Henry Schein Cares Foundation who awarded us the Henry Schein Cares Medal for Excellence in Expanding Access to Medical Care . 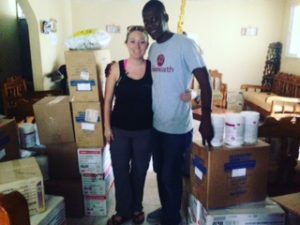 After the devastation caused by Hurricane Matthew and the heavy rainstorms that inundated the north, our clinics and partner hospitals were in great need of supplies. In addition to a financial award, the Foundation supplied us much needed gloves, isolation gowns, and other basics, which we in turn use in our programs and shared with our partner organizations. Thank you to SECA USA, manufacturer of medical measuring systems and scales, for providing us with accurate, high-quality portable scales and stadiometers that enable us to have quality measurement tools to assure appropriate care in our clinics and especially in our malnutrition programs. Thank you to HUFH volunteers who organized and ran a holiday sale under the stewardship of volunteers Lynn Perton and Celeste Merzon-Theis to benefit both HUFH and the Women of Milot, an entrepreneurial network that creates meaningful and well paying work for Haitian women through a line of beautifully handcrafted goods. 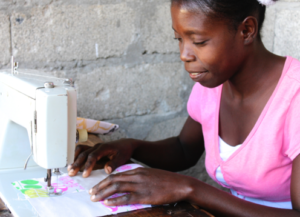 Funds went directly to improving the lives of women, children, and families in northern Haiti. 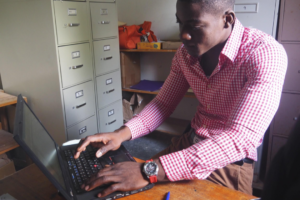 Thank you to Seton Hall University for generously providing us with 12 laptop computers for use in Haiti, enabling our medical professionals on the ground to keep up-to-date and accessible records of our patients and our programs and collect and evaluate data, greatly enhancing the quality of care. Thank you to our Board of Directors, whose members underwrite our administrative expenses. Because of their generosity, commitment and vision, Almost Every Cent of Every Dollar Donated Goes Directly to Helping Children, Mothers and Families through our medical programs. To help support our programs and professionals on the ground, DONATE HERE.